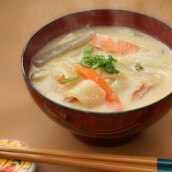 MEDETAI soup like white miso with pork! 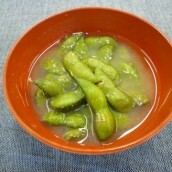 It's miso soup of many toppings and is one of a congratulatory dish. The etymology is transcribed with Inamuduchi by "in the style of a wild boar". 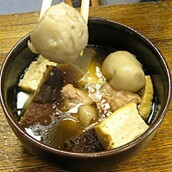 The pork rib which made sure that the name will indicate in the thin strip of paper limit for soup with pork and the one which did konnyaku, boiled fish paste, shiitake mushroom and thin fried tofu like the sweet white miso peculiar to Kyushu-district. Pork is boiled, it's cut into a strip of paper, salt is sprinkled and it's put for a while. After putting this in boiling water and doing hot water washing, it's given to a basket. 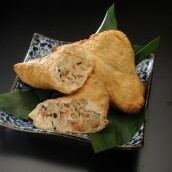 Konnyaku and boiled fish paste are cut into a strip of paper. 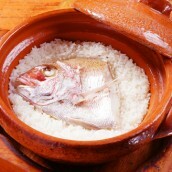 After rubbing konnyaku with salt, it's boiled. I cut shiitake mushroom into fine strips. 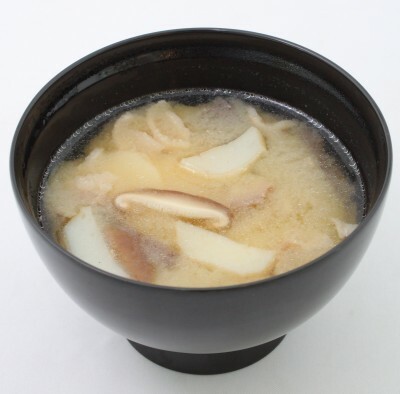 It's put over a fire including half amount of pig soup stock and katsuo-dashi soup in a pot, pork, shiitake mushroom and konnyaku are put in and it's boiled for a while. 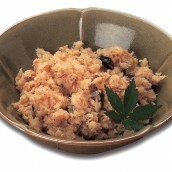 White miso is dissolved and put in with remaining soup stock, and if fat rises, removes, adds boiled fish paste and completes it.